Made in 22 carat gold. 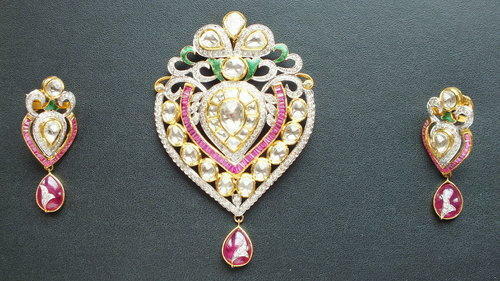 Studded with Polki and colour stones in Kundan Meena Work. Packaging Details Packaged in Wooden/ Velvet Boxes.